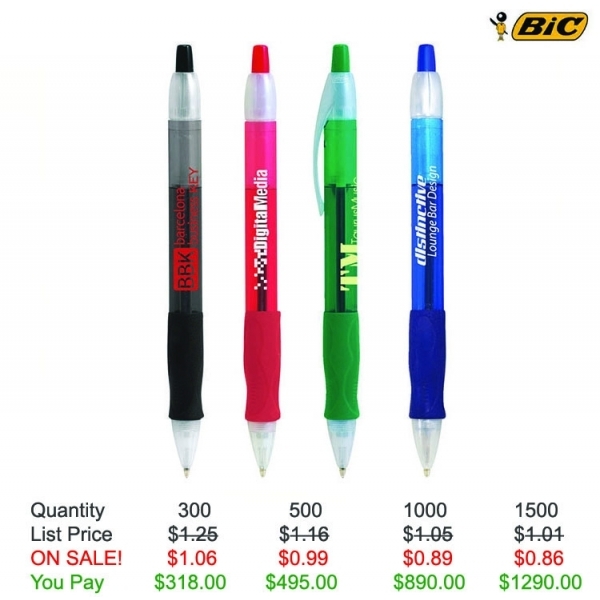 Your message will "glide" easily into the minds of your prospects with the BIC (R) Velocity retractable ballpoint pen! 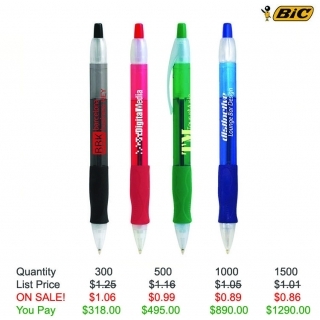 Features include the super smooth BIC (R) Easy Glide System (R) ink technology contoured grip for comfort and control. 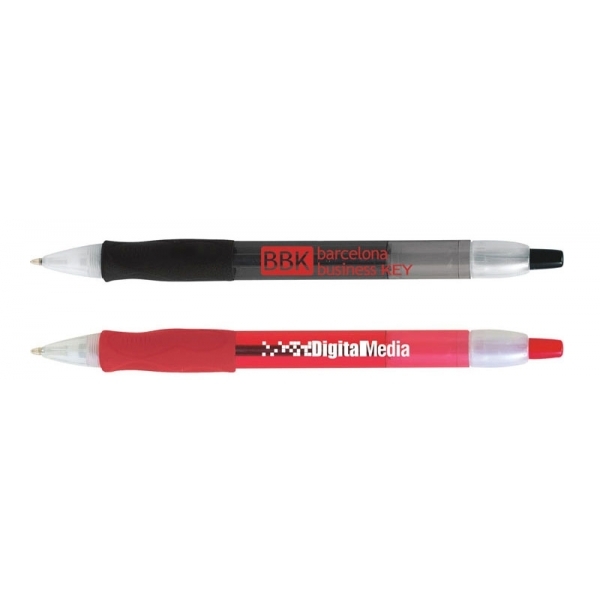 The refillable pen with medium black ink also includes matching solid rubber grip, frosted section and clip. With US Patent No. 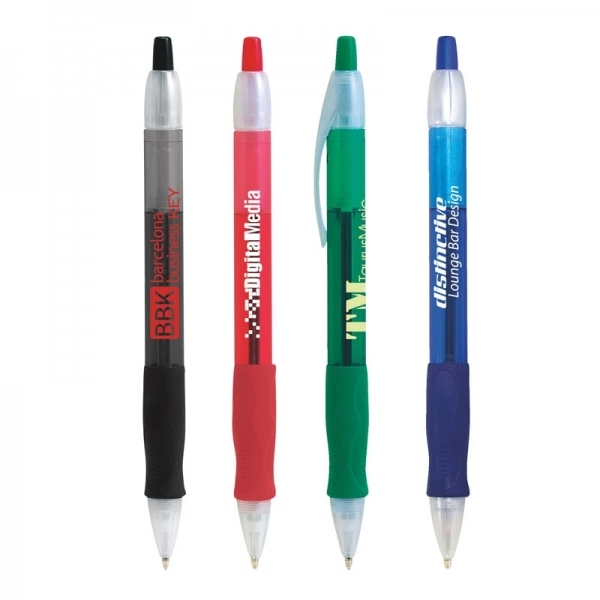 491,605S, this pen with your silkscreened imprint will fit any business, project, or event! Product Features: Contoured grip for comfort and control.